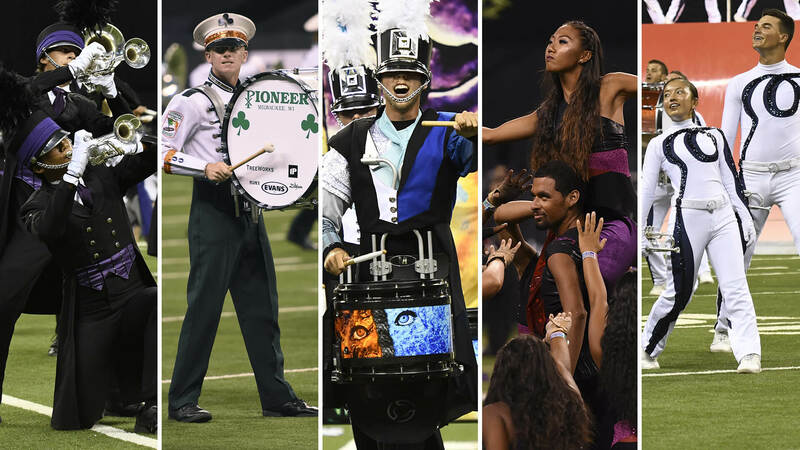 Drum Corps International unveils a major expansion to its library of DCI On-Demand streaming video titles. The annual subscription service now includes more than 80 performances from the 2016 DCI Tour and World Championships that fans can view online via DCI.org. To date, the performances of 17 World Class corps can be streamed online. The Madison Scouts, Jersey Surf, Pacific Crest, Oregon Crusaders and Spirit of Atlanta have various licensed titles still outstanding, and they are expected to be added when final approvals are received. Special licensing arrangements with the DCI On-Demand platform allow up to five different performances to be captured and streamed on-demand from a given competitive season. As a result, select 2016 performances from earlier in the season from June through August are available in addition to a number of 2015’s top-12 finalists. DCI On-Demand subscriptions cost $79.95 and will be active through the annual renewal period on June 1, 2017. Users who subscribed during DCI.org’s “Early Access” period this summer have full access to the new titles and can login and watch immediately. In addition to on-demand streaming, select 2016 DCI World Championship performances were also released this fall on CD, DVD and Blu-ray disc. Video titles include the top-12 World Class finalists with the four-disc CD set featuring the top-25 advancing World and Open Class corps as they performed at Lucas Oil Stadium in Indianapolis this past August. Videos and CDs are currently available and shipping from the DCI.org online store.